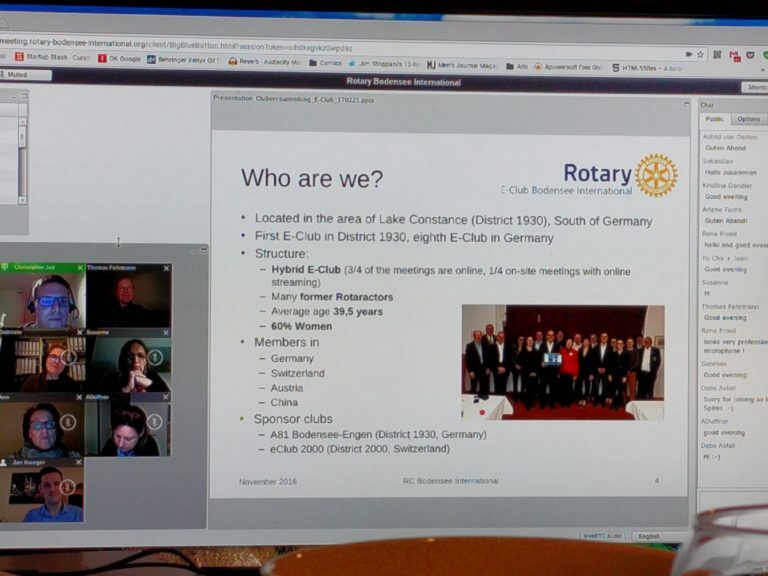 A meeting of minds across the English Channel, members of the Rotary Club of Oxford Spires had the opportunity to join in a meeting with the Rotary E-Club of Bodensee via the Internet. One of the main reasons members of Oxford Spires RC joined in this meeting hosted by Bodensee RC, was to establish a connection between the two clubs and to introduce each other. Oxford Spires RC is keen to twin with an international Rotary club and this was a great next step on establishing our club’s relationship. In total 4 members of Oxford Spires RC join in with the meeting via the online chatroom/conferencing software BigBlueButton. 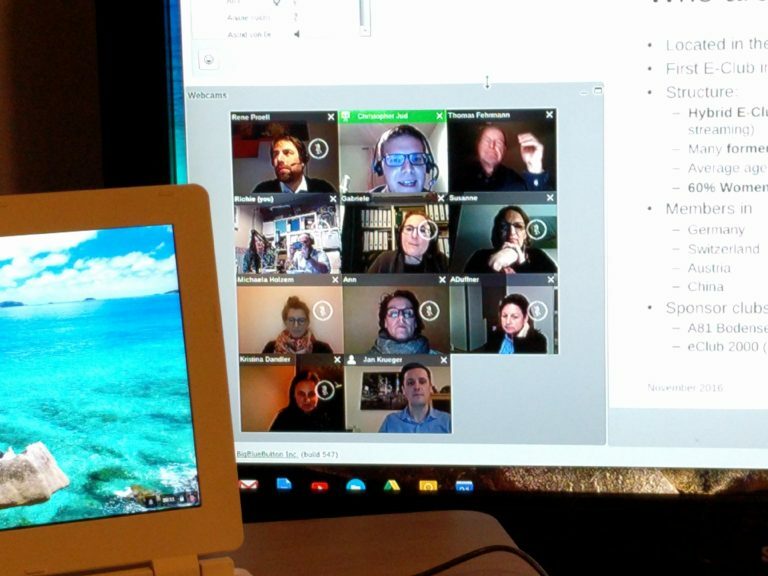 Some members joined via text only, some took part in voice only, while others went all in and joined in with their voice and webcam setup. Oxford Spires RC members joined in for 30 minutes of Bodensee RC’s meeting, which was chaired by their club president Christopher. In this time he gave a short PowerPoint presentation online (he spoke in English so that the Oxford Spires RC members that could not speak German would understand him). Christopher talked about the history of their club, who their members are, their club activities and what they hope to get out of twinning with another club. Then Oxford Spires RC club president, Katy Goodey, gave her own short PowerPoint presentation online, where she talked about the club’s history, activities, members, and so on. The meeting was pleasant, engaging and it was wonderful to meet with and join in with Rotarians from another country. The fact that we were all able to meet virtually online opens up an exciting world of possibilities for the clubs and there are talks between the two clubs over what to do next regarding twinning. 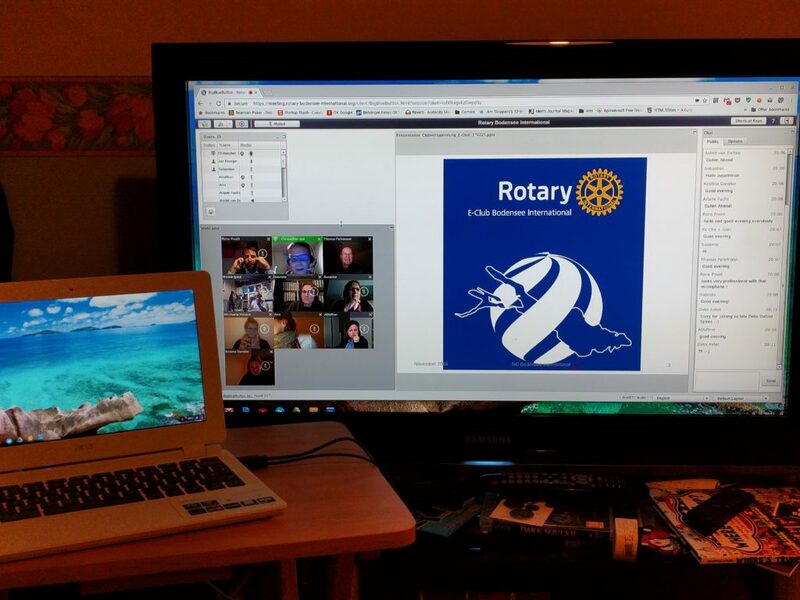 Having a joint meeting between clubs in via a chatroom/conference software is a great option to bring club members together, either internationally or even locally. You can find out more about BigBlueButton at http://bigbluebutton.org/.